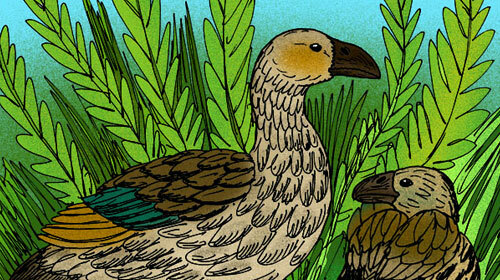 The Moa-nalo were a species of ducks that were similar physically to geese and native to the larger of the Hawaiian Islands in the pacific. These large herbivorous ducks, although native to the Hawaiian Islands did not inhabit Hawaii itself are they are believed to have been the main herbivores of the Hawaiian Islands before becoming extinct after the Islands were settled by humans. The Moa-nalo (which literally means ‘lost fowl’) were made up of four different types of genus; Thambetochen xanion & Thambetochen chauliodous from O’ahu and Maui, Ptaiochen from Maui and Chelychelynechen from Kaua’i. These large ducks could weigh anywhere up to 18lbs and were all flightless. 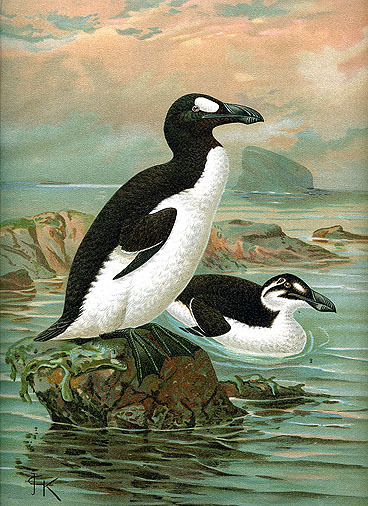 There is some superficial differences between the genus’, the Thambetochen and Ptaiochen species had serrated bills whereas the Chelychelynechen had a large bill/beak like that of a turtle (Chelychelynechen literally means ‘turtle-jawed goose’). The Moa-nalo were completely unknown to science until the 1980’s when fossilized remains and bones were found on the Hawaiian Islands. After extensive research it was determined that despite similarities with geese the Moa-nalo were actually more closely related to ducks like the mallard. 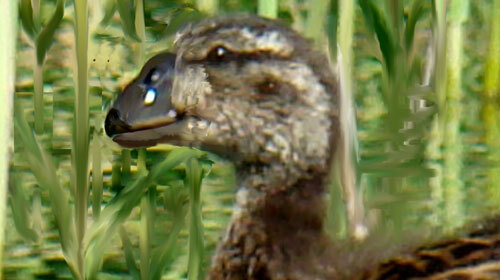 Currently it is believed that the closest living relative of the Moa-nalo is the Pacific Black Duck. It is thought that the Moa-nalo split off from other members of the duck family dearly while still retaining the ability of flight, after spreading across the Hawaiian Islands the Moa-nalo slowly lost their ability to fly. It is believed that this happened before the island of Hawaii was fully formed hence why the Moa-nalo were unable to populate Hawaii. The Moa-nalo are believed to have been the main species of herbivore on the Hawaiian Islands and the unique shapes of their beaks certainly points in that direction. 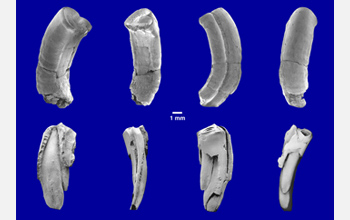 Scientists estimate that the Moa-nalo went extinct after colonization by the Polynesian. Its thought that this is widely down to the Moa-nalo being hunted for food and as no mammals occupied the islands previously the Moa-nalo did not recognize the danger.